Have you ever tried to keep squirrels from eating seed in a bird feeder? In practically every case, the squirrels win. Why is this? It’s because the only thing they have to do in life is figure out how to rob that feeder while we have lots of other stuff to occupy us. Unfortunately, scam artists are like squirrels. No matter how hard we might work to foil them, they will find ways to steal our money. After all, that’s all they have to do in life. The scams that these people create are like Whack-A-Mole. The minute the authorities figure out how to defeat one scam, another one pops up. A new one you need to watch out for is what’s called the “phantom debt” scam. In fact, the Federal Trade Commission (FTC) has said that it’s already gotten nearly 3000 complaints about this scam. The way the phantom debt scam works is that you receive a phone call that says something like, “this is the Civil Investigations Unit calling. There has been a complaint filed against you pursuant to affidavit number DOD – 2932. You have been named the respondent in a court action and must appear. Please forward this order to your attorney as it contains a restraining order. Your attorney or you has 24 to 48 hours to oppose this matter,” blah, blah – followed by a telephone number. Who’s behind this scam is a fake debt collector. Sometimes the person will use a fictitious name or will imply that he or she is affiliated with a law firm. He will threaten you. He will tell you if you don’t pay, you could suffer serious consequences such as being arrested at work, getting sued, having your bank account closed or your wages garnished. Or you may be told that you will have to appear in a court that’s thousands of miles away from your home. If you do receive such a phone call and believe the caller is a fake debt collector, be sure to get his name, the name of his company, street address and telephone number. Then tell the person calling you that you won’t discuss the debt any further until you get a “validation notice” in writing. By law this notice must include the name of the creditor you owe, the amount of the debt and your rights under the federal Fair Debt Collection Practices Act. In the event that the person calling you will not give you this information, don’t pay anything. Fake debt collectors won’t always go away even when you pay them. In some cases, they will make up another debt to try to extort more money from you. Be sure to not give the person any of your financial or other sensitive information, either. These phony debt collectors will use your information to steal your identity by charging items to your credit card or by opening a brand-new credit card, checking account or savings account in your name. They may write checks that are fraudulent or even take out a loan in your name. In addition to this “phantom debt” scam, there is the “automatic debit scam” you need to be wary of. Automatic debiting from your checking account can be a useful financial tool but is now being used by fraudulent telemarketers. If you get a call from someone asking for the number of your checking account or any other information on your check, treat it the same way you would for information about your credit card. Just say no. The way this works is that you receive a telephone call notifying you that you’ve won a nice prize or that you qualify for a special credit card. 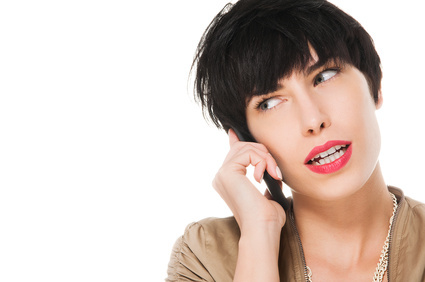 The telemarketer will ask whether or not you have a checking account. If you answer yes, he will go on to “sell” the offer that will sound too good to not take advantage of. Towards the end of the call the telemarketer will ask you to read out all the numbers at the bottom of one of your checks. He may or may not tell you why he requires this information. If you provide the numbers, the telemarketer can then do what’s called a “demand draft” that’s processed much the same as a check but does not require a signature. When your bank gets this draft, it will pay the telemarketer’s bank just as if it was a check – and you’re out of luck. 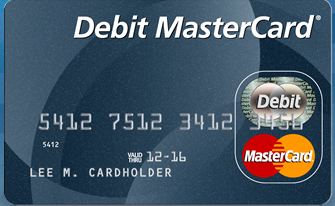 You want to make sure you protect yourself from financial losses to an automatic debit scams. Here’s what you could do to protect yourself. Unless you know the company and understand why it needs your information, don’t give out your checking account number to anyone you don’t know personally or with whom you don’t already have a financial relationship. In the event a person says they are taping the telephone call, ask why. And don’t be afraid to ask questions. As a general rule, companies will not ask for your bank account information unless you have specifically said that you will use this method of payment. There was a law passed in 1995 that a telemarketer or seller must obtain your verifiable authorization in order to get paid from your checking account. What this means is that if a person gets your account information via the phone he or she must have your specific permission to debit your account. There are three ways this can be done. First, the caller must tell you that it will be taking money from your bank account. If you have authorized the payment from your account, they must get your authorization in writing, record it or send you confirmation in writing before debiting your account. As the old saying goes, being forewarned means being forearmed. Now that you’ve been warned, you’re forearmed and should be able to avoid either of these scams. Finally, here’s a vido with some good advice that could help you avoid debit card fraud.